Product prices and availability are accurate as of 2019-04-19 00:20:14 EDT and are subject to change. Any price and availability information displayed on http://www.amazon.com/ at the time of purchase will apply to the purchase of this product. FLV Downloader will help you save videos you see online (YouTube, Vimeo, DailyMotion and others) to your computer so you can open and enjoy then later on. 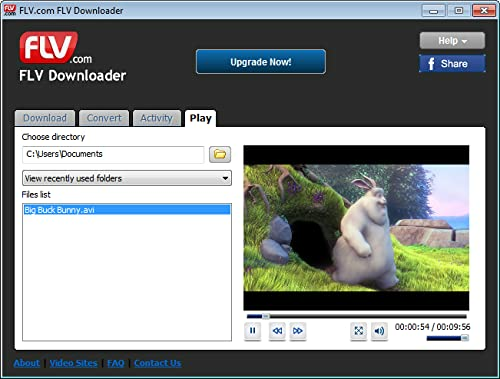 FLV Downloader also has a built in converter, so once your FLV video is downloaded you can convert it to other common formats such as WMV, so you can play it on Windows Media Player.